At times I have clients ask if they can pay me with their debit card. Well, yes, they can. And it’s really easy. Login in to your online banking and find their e-Transfer link. Just type in the amount you wish to send and the email address it’s going to. You will also have to stipulate a security question that the receiver of the funds must know the answer to in order to deposit the money into their account. 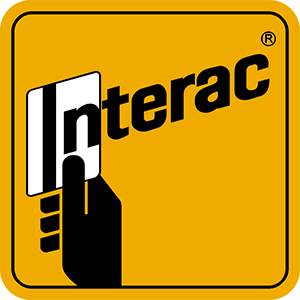 If you don’t know where your online banking institution is hiding the e-Transfer link just visit the Interac.ca website and click the logo of your bank or credit union. You’ll be taking to the e-Transfer service for your bank (and will have to login to your bank to use the service). To receive funds couldn’t be easier. When someone sends you money you get an email from Interac saying “Deposit your money” click here. The link takes you to your financial institution’s website where you login and direct the funds to which account you want the money to go in. At the time of deposit you’ll also need to answer the security question the person sending the funds specified. Many of you all ready know and use this service. I just wanted to share with you how easy it is for those that don’t know. For me there is a charge of $1.50 for each transaction… though know it’s your financial institution that sets this, so your rate may be different.